The tell-tale tones of business casual can be spotted miles away, but not necessarily because they’re stand-outs. With its palatable, low-key profile, the on-autopilot arsenal of khaki, navy, and the like is practically etched-in-stone code for zero-risk, straightforward office dress. But, while your work walls might be vanilla, beige and boring-all-over, your threads don’t need to follow suit. Evolving your work-week wear lets you express your personality in ways that buttoned-up corporate culture doesn’t always afford, while simultaneously informing your after-hours style, too. Go bold with the below hues so that the only splash of color you get isn’t from sticky notes and spreadsheets. 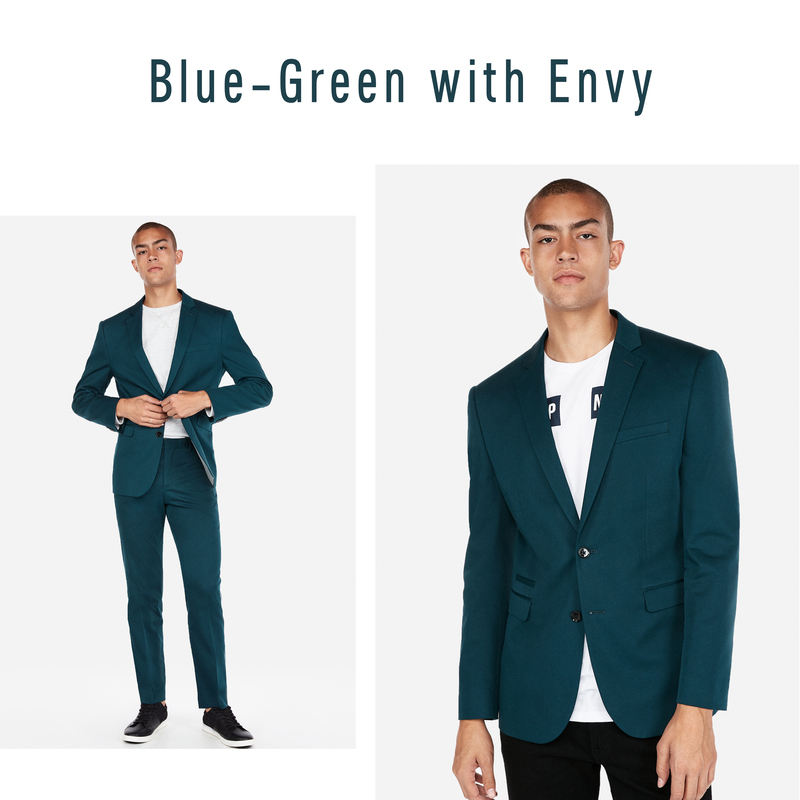 This vivid, blue-green varietal breathes air into grey- and black-clad winter/fall wardrobes, recalling the verdant days of spring and summer without looking out of place. 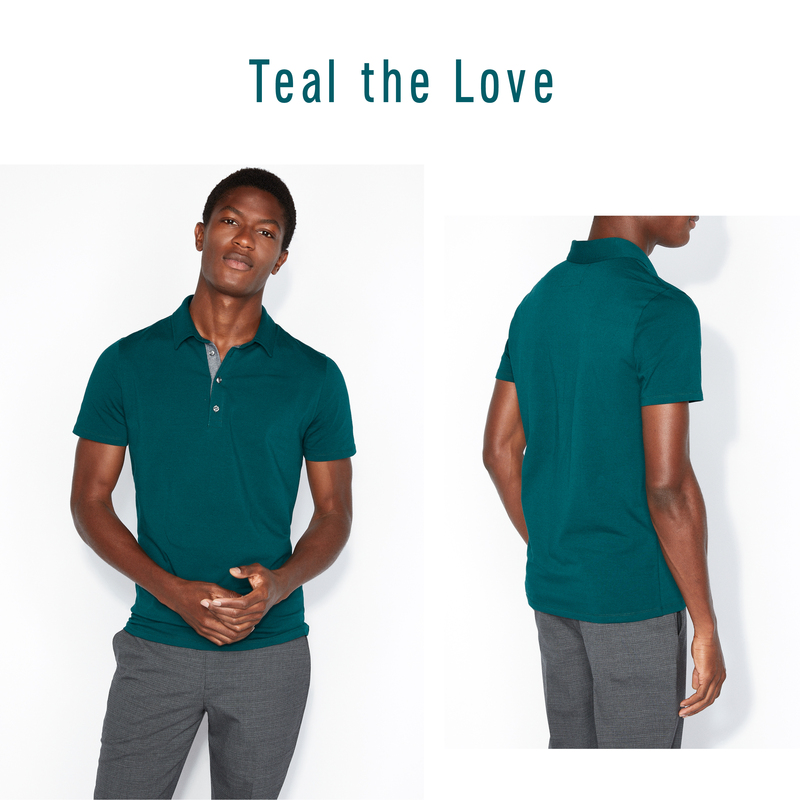 Ditch the literal white collar look, while preserving the professionalism, with an electric performance polo, statement-making button-down, or, weather permitting, a short-sleeve option that downloads a much-needed update to an old standby. 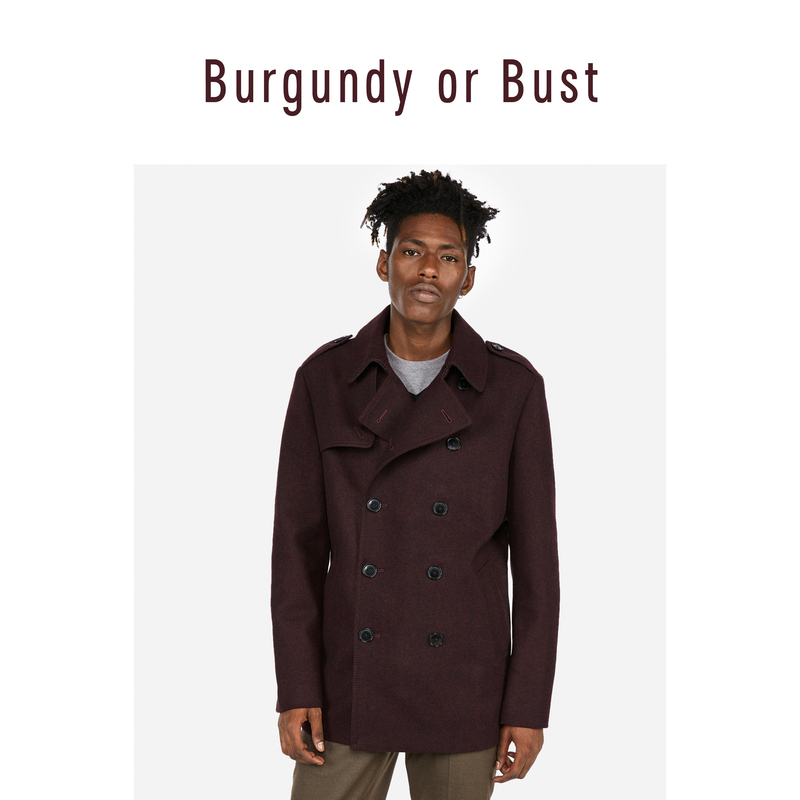 This handsome tint having more than just a moment, emerging as one of the season’s sharpest schemes for its rakish versatility. It packs the brilliant pop of red and its cousins, but pulls back enough for professional environs. Splashy outerwear livens up your commute, while, in the office proper, flashier ankle gear and bold-but-becoming pants give you a sharp excuse to finally order that stand-up desk. This electric iteration of blue is nothing like your dad’s navy, turning up the wattage without watering down the sophistication factor. With brighter chromas, it’s critical to sport in moderation—the aim is to stand out, not stick out. 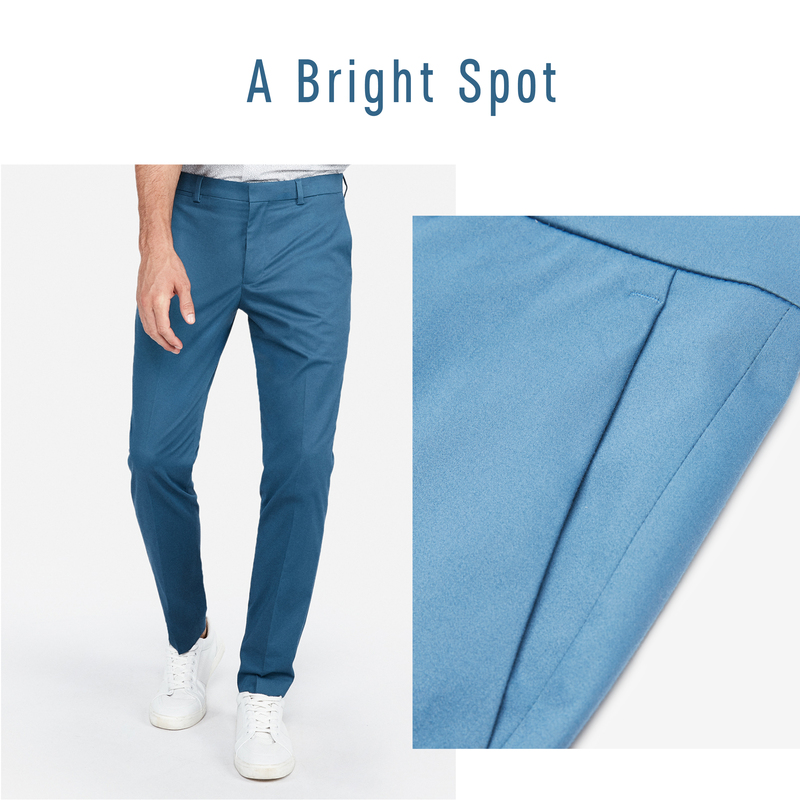 Limit the real estate to all-star staples like punchy dress pants, inspired pattern play, or a collared classic that screams “essential” while being anything but basic. Try this regal blush on for size you’ll see why it’s often associated with royalty. Fusing the elegance of a classic blue with the in-your-face flair of red, purple wields a dress-it-up, dress-it-down wearability that crosses the aisle from cubicle to boardroom. That’s why it works well on everything, like point collars, merino crewnecks, and go-big-or-go-home suiting accessories (seriously, it’s OK). Eye-catchingly animated, but somehow still flying under the radar, turquoise leaves more popular, similar-tinged tones in the dust by turning heads where conventional swatches fail to impress. As with the above options, a little goes a long way, so ease into experimentation with a Casual Friday-friendly tee; then, step it up a bit with some upscale accessorizing. 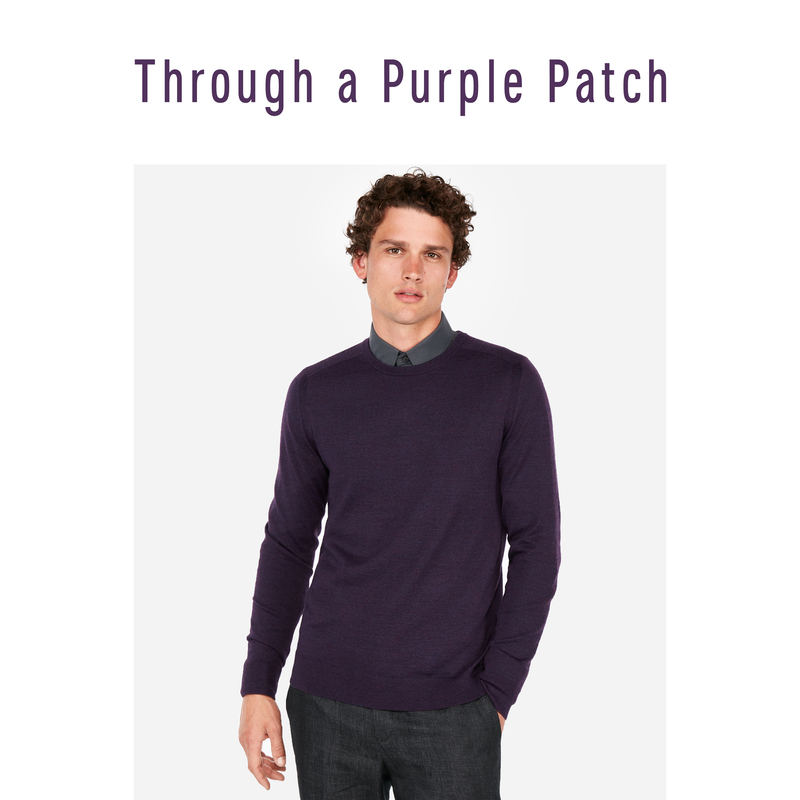 When you’re finally ready to hit the gas, throw on a fetching, tailored two-button that proves tertiary tones should always warrant primary consideration.